Have you found an online vendor selling Kaniche XO? 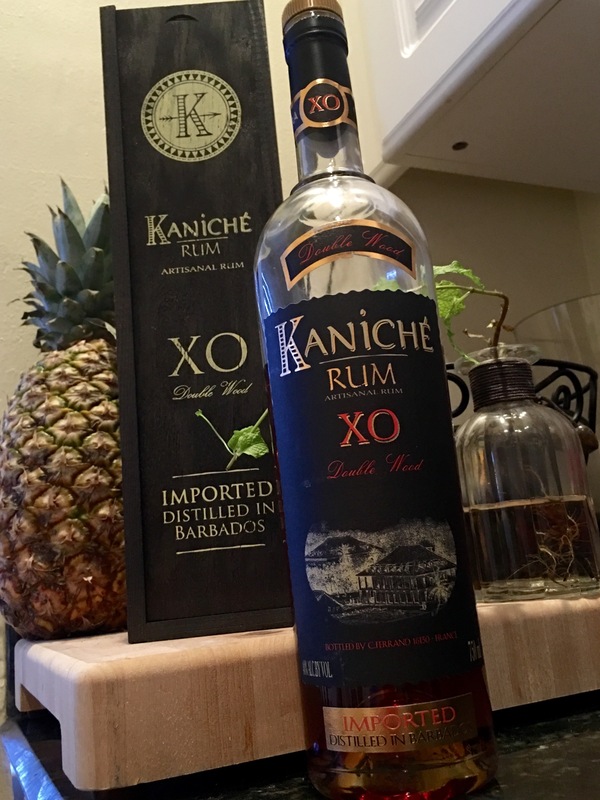 Kaniche XO rum is produced in Barbados where it is first aged in bourbon casks. It is one of the few rums that is then double aged for a more mellow finished in Pierre Ferrand ex cognac casks at their location in France. My first taste of Kaniche XO left me unsure if I loved it or hated it. Being a big fan of Plantation XO, I found myself comparing it to that since it is made by the same company (C. Ferand). After a second visit, I found it enjoyable. The smell and initial taste are sweet and fruity with a pleasant oak flavor. Kaniche XO is quite similar all around to Plantation XO but with a bit more harshness at the back end. This bottle came in a nice wooden box and goes for $24-29 at Total Wine so you can't go wrong. Go grab a bottle if looking for a low-budget Plantation XO with a bite. At only $29.99 (Total Wines 2015), this beats some of the $100+ rums I've tried. Sugarcane, vanilla, and a hint of coconut, this also includes a little oak and cognac - just enough to add to the flavor without taking from the rum goodness. Kind of similar to the Plantation XO 20th Anniversary, but not quite as good. Still an excellent rum. This was recommended by fellow Rum Raters. This is one of my new favorites, alongside Ron Zacapa, Zaya and Kirk & Sweeney. It does have a sweetness to it, which I prefer. Just a really smooth rum that I would buy again and again. Well, found the Kaniche Reserve! (Yay me!) I have found what is very likely going to be my main rum in the house. This was outstanding! It has an almost sweet finish, and oak overtones without tasting like it was ran through a charcoal briquette! I like the fact that you can drink it neat, and still have tastebuds that can still tell the difference between sweet and sour. And the price was definitely nice! I have paid a LOT more for what I would now call "Inferior" Rums. This is a rum that is worth your time. Så fik jeg fat på denne skønhed af en rom! Var på tilbud til 300 kr, så kunne jeg altså ikke sige nej. Sugar: 24 gpl. This rum is very soft on the palate is moderately sweet with tastes of coconut, cognac, vanilla, and honey. It's is similar to Plantation XO but is a little softer and less bold or sharp of a taste. Basically it is Plantation XO Lite. As other rum posters mentioned, this was suggested to me by the Total Wines associate and he was right. This is a great tasting rum for sipping at a moderate price. If you see it in your local store, try it. My wife picked this up for me on a recommendation from staff at Total Wine. I see that several reviewers state similar recommendation. I tried it on the rocks but found it had a harsh bite and was a bit too sweet for my liking. I then tried it with Coke Zero and liked it because of the subtle sweetness. I shall try it again and see if it grows on me. Lots of added sugar makes it hard to take this rum too seriously. Another confection from the Plantation factory. a následně v sudech po koňaku ve Francii. Tento rum je nejvyšší z řady. Setkat se ještě můžete s Kaniche Reserve a Kaniche 11 yo. Shrnutí:	Ochutnán vzorek koupený v českolipském baru Egypt. Velmi zaujal. Budu se muset poohlédnout po lahvi. Yes, it has added sugar, but so does Plantation 20th Anniversary, which is much more complex and tasty. Kaniche XO seems thin by comparison, without the depth of flavor of other Pierre Ferrand/Plantation rums. Great value rum. Clean finish on the rocks. A steal when on sale at Total Wine. I first encountered this in Arizona at the Total Wine Store. Travis and I were busily looking about for the rum aisle when we heard a voice..."would you like to try a free sample of our new arrival?" YES! The store associate smiled because he knew he just made an easy sale. The double aging process with different barrels seems to be the secret. I tried this straight up, on the rocks, and with coke. Note overly impressed with the nose, but amazingly intense burst of concentrated brown sugar a second after sipping. Not too sweet or spicy, nice to sip. Now if you enjoys a smooth, slightly sweet rum that has some complexity in the finish and don't want to ration out some high priced exotic, this rum is for you! Straight up is best or on the rocks but don't let the ice melt and water down the wonderful taste. This rum is a true pleasure to sid down and drink, especially on a nice summerday. I'm a fan!! A lot of tropical fruits, medium sweetness and a light power. Nose : I find banana, coconut, orange and in general tropical fruits. The rum is really delicious when you stick your nose down into the glass, for just enjoying the lovely notes. Taste : I find banana, orange, tropical fruits and molasses. The aftertaste is tropical in the beginning, and it get mixed with molasses in the end. So, I asked the guy in the store, what do you have that's a lot less expensive than the Ron Zacapa XO that has complexity and some body. It was a trick question as I've had lots of rum that would meet the request, but I was looking for something new. He recommended the Kaniche XO. I was Alitalia hesitant as I had the Kaniche 11 Year Old, liked it a lot, but found it light in body. He said this one was different. He was almost spot on. It doesn't have the body of a Zacapa xo, but at 1/3 the price, the body works out fine. The taste is just scrumptious. Loaded with butterscotch and vanilla, it's just so wonderful to sip and enjoy. Will become my go to rum! Définitivement un de mes rhums préféré. Son goût, son odeur sont vraiment aux top. A déguster absolument. Ce rhum n est pas très dispendieux. Et il descend très bien juste comme ça.